Need more info? I can help. The world of environmental management is ever changing so it can be challenging to keep on top of the news or latest developments. So I regularly publish articles, blog posts and info guides, which you can browse in these sections. Check out the Recent Posts list on the right hand side of this page. 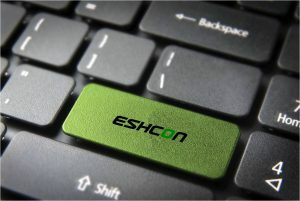 Stay up to date with Eshcon’s latest news and views. Perhaps you’d like to receive future copies of the e-newsletter? Please click here to sign up. To keep up to speed with the latest environmental news, Eshcon Top Tips and other useful information, follow me on Twitter @Eshcon. I have produced a number of ‘Eshcon Info’ factsheets to help get you started and provide more info on specific issues, including the requirements of the new ISO 14001, ESOS, how to write an environmental policy and carbon footprinting.